1/4 cup of sugar (avoid putting too much sugar so it rises). 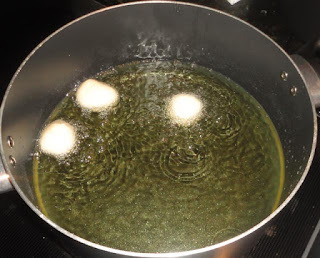 Vegetable Oil (It doesn't matter what type of oil you use really, the second time we made it we used Sunflower oil). Cover your mixing bowl (we used a pot because we're cool like that lol) with aluminum foil or plastic wrap and ensure it is airtight! 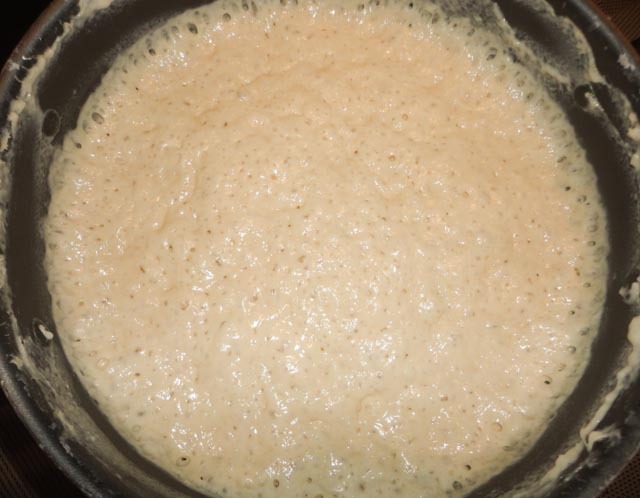 Leave it to rise for at least 4 hours, it should look similar to the image below when it is ready to be deep fried. Pour some oil in a deep pot (it should be at least 4 inches deep) and allow it to heat up. Test that the oil is hot enough by putting a drop of the batter into the oil. It will sizzle and come to the top if it is hot. When the oil is hot enough, using your thumb and index finger, scoop some batter into the oil. Put in as many scoops as your pot can take, but be sure to prevent over-crowding. 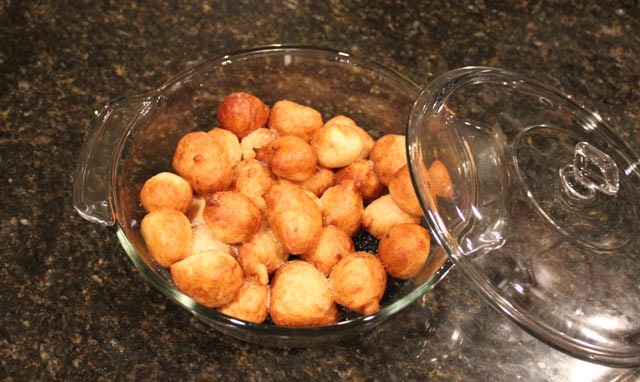 Once the underside is golden brown, flip the puff-puff to the opposite side, so it is fried as well. 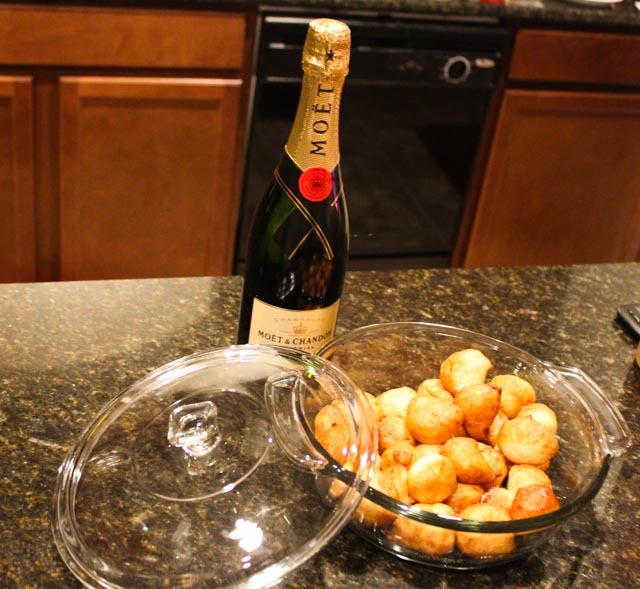 Drain the puff-puffs using a colander after frying (you can use a paper towel to soak away excess oil). And you're done! You can sprinkle some sugar over it if you want to. I noticed a lot of cultures share this same recipe, but call it different names. I met a lady from Holland the other day and she had made something similar with raisins in it (maybe I should try that some day). She referred to them as "Olivos" and they tasted really good. Oh and some other African cultures have different names for it as well, if you know any, please share! 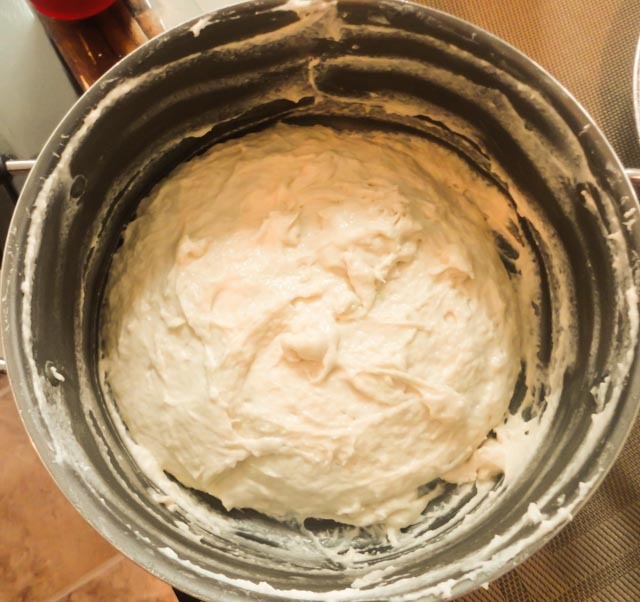 Hope you enjoyed this recipe and thanks for reading - Onivie xo! lol OluwaNiniChukwu! Hmm I'm bout to hop in the kitchen and get my Naija Chef on! Nice post!